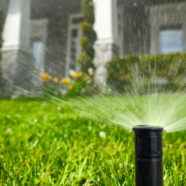 Irrigation is essential in maintaining a beautiful lawn or landscape. We offer all aspects of irrigation, from brand new systems installation or repairs of existing systems. Our technicians have years of experience. We offer monthly maintenance programs in which our technicians preform a full system check. They make the necessary adjustments to keep your system up and running so your landscape investment is protected.